Welcome to the web pages of the Statistical and Nonlinear Physics Division (SNPD). The SNPD is a division of the European Physical Society (EPS) that represents and provides a forum for scientists interested in statistical and nonlinear physics, complex systems and interdisciplinary applications (pictures courtesy of P. Manneville and A.-L. Barabasi). The 2019 EPS Statistical and Nonlinear Physics Prize has been awarded to Sergio Ciliberto (ENS Lyon) and Satya Majumdar (Paris-Sud). The prize award ceremony will be on 8 May 2019 in Stockholm during the EPS-Nordita conference "Statistical Physics of Complex Systems". ----- Long citation of the prize. Sergio Cilberto is honored "for his seminal contributions over a wide range of problems in statistical and nonlinear physics, in particular for performing groundbreaking new experiments testing Fluctuation Theorems for injected power, dissipated heat, and entropy production rates, as well as investigating experimentally the connection between dissipated heat and the Landauer bound, thus demonstrating a link between information theory and thermodynamics". Satya Majumdar is honored "for his seminal contributions to non-equilibrium statistical physics, stochastic processes, and random matrix theory, in particular for his groundbreaking research on Abelian sandpiles, persistence statistics, force fluctuations in bead packs, large deviations of eigenvalues of random matrices, and applying the results to cold atoms and other physical systems". 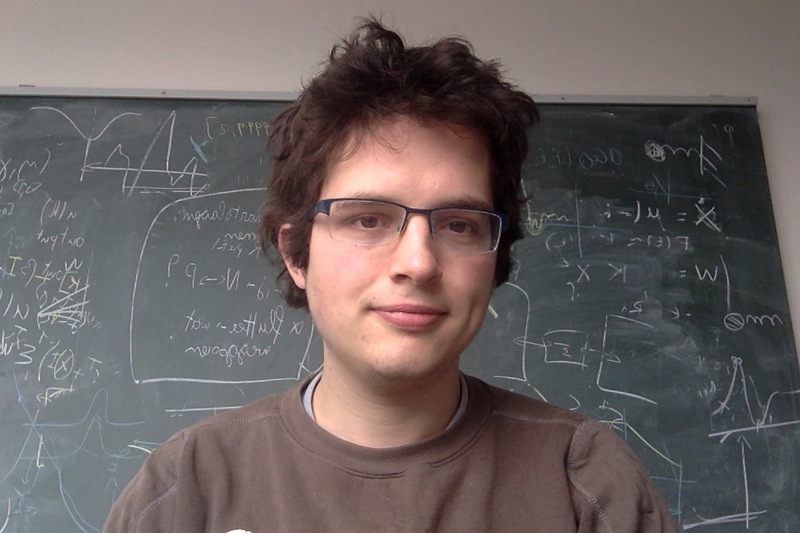 The 2019 EPS-SNPD Early Career Prize goes to Karel Proesmans (Hasselt) and Valentina Ros (ENS Paris). ----- Long citation of the prize. Karel Proesmans is honored "for his outstanding research contributions in the field of stochastic thermodynamics, in particular his work dealing with optimization protocols for thermal engines, as well as his work on thermodynamic uncertainty relations for discrete-time and periodically driven systems". Valentina Ros is honored "for her outstanding research contributions in quantum and classical disordered systems, explaining new ways in which those systems can break ergodicity and fail to equilibrate, and her investigations of rough, high-dimensional landscapes emerging in this context". Congratulations to all prize winners! We also thank the scientific community for the large number of excellent nominations received. 1. EPS Statistical and Nonlinear Physics Prize The EPS Statistical and Nonlinear Physics Prize is awarded by EPS for outstanding research contributions in the area of statistical physics, nonlinear physics, complex systems and complex networks. The prize winner will have made ground-breaking and agenda setting contributions for the development of this field. The prize can be shared by up to 2 persons. The prize consists of a glass trophy and a cash sum. Prize winners can have any nationality. This prize is awarded to an early career scientist (defined as having obtained his/her PhD less than 6 years ago at the time of nomination) who has made outstanding research contributions to an area of statistical physics, nonlinear physics, complex systems, or complex networks, as evidenced by a top quality and highly cited paper in an international journal. The prize can be shared by up to 2 persons. The prize consists of a glass trophy and a cash sum. Prize winners can have any nationality. Deadline for nominations for the 2019 prizes was 31 January 2019. The prize selection committee consists of the current board members of the Statistical and Nonlinear Physics Division of EPS in consultation with external experts. Prizes will be awarded during the EPS conference "Statistical Physics of Complex Systems" at Nordita/Stockholm 7-11 May 2019. History: The above prizes were created by EPS in 2017 and are awarded every 2 years. Statphys26 took place in Lyon on 18-22 July 2016 and was sponsored by EPS as a Europhysics conference. The board of SNPD had its annual board meeting in Lyon on the occasion of Statphys26. The SNPD also hosted an honorary dinner for the new Boltzmann medalists in Lyon. Dynamics of Complex Systems was yet another Europhysics conference organized by the Division and this took place in Warwick 18-20 May 2016. Dynamics Days 2016 (Corfu) was sponsored by EPS as well (6-10 June 2016). Crossroads in Complex Systems: This Europhysics conference took place 5-8 June 2017 at IFISC in Palma de Mallorca. There was a special session organized by the Statistical and Nonlinear Physics Division (SNPD) of EPS. SigmaPhi conference on Statistical Physics. This was supported by EPS as a Europhysics conference. There was also a satellite summer school on New Trends in Statistical Physics for young researchers, organised by SNPD immediately before the conference. 2017 saw the 100th anniversary of the life and work of Marian Smoluchowski (1872-1917). On this occasion the Statistical and Nonlinear Physics Division organised the Anniversary Smoluchowski Symposium/1st EPS conference on Statistical and Nonlinear Physics in Krakow (4-8 September 2017). The EPS Statistical and Nonlinear Physics Divsion joined forces with the EPS Condensed Matter Division and the Sektion Kondensierte Materie of DPG to organize a joint DPG/EPS spring conference in Berlin 11-16 March 2018. More than 6000 participants attended this huge meeting. New interaction between EPS Plasma Physics Division and EPS Statistical and Nonlinear Physics Division: Joint sessions organized at the 45th Plasma Physics Conference in Prague 2-6 July 2018. Statistical Physics of Complex Systems. This joint EPS-Nordita conference will be organized by our Division in Stockholm 7-11 May 2019. Statphys27 will take place in Buenos Aires 8-12 July 2019 and is sponsored and supported by EPS-SNPD. There will be a special EPS session during this conference. 1. EPS Statistical and Nonlinear Physics Prize The EPS Statistical and Nonlinear Physics Prize is awarded by EPS for outstanding research contributions in the area of statistical physics, nonlinear physics, complex systems and complex networks. The prize winner will have made ground-breaking and agenda setting contributions for the development of this field. The prize can be shared by up to 2 persons. The prize consists of a glass trophy and a cash sum. Prize winners can have any nationality. The 2019 prize has been awarded to Sergio Ciliberto and Satya Majumdar. 2. EPS-SNPD Early Career Prize This prize is awarded to an early career scientist (defined as having obtained his/her PhD less than 6 years ago at the time of nomination) who has made outstanding research contributions to an area of statistical physics, nonlinear physics, complex systems, or complex networks, as evidenced by a top quality and highly cited paper in an international journal. The prize can be shared by up to 2 persons. The prize consists of a glass trophy and a cash sum. Prize winners can have any nationality. The 2019 prize has been awarded to Karel Proesmans and Valentina Ros. The 2019 prizes will be officially awarded at the 2nd conference of EPS-SNPD at Nordita/Stockholm 7-11 May 2019. The EPS Statistical and Nonlinear Physics Division has links with the IOP Nonlinear and Complex Physics Group. We also collaborate with the Fachverband Dynamik and Statistische Physik of the DPG. The journal EPL is published under the scientific responsibilty of EPS, with a large section on statistical physics and complex systems.